The feeling from the first meeting is ” Wow~ Looks really young” ” Wow~ The face is really small” Sure enough, celebrities are like that. A different feel from what is shown on the television which showcases his exceptional charisma. “Looks very friendly?” We were worried whether he would give us the answers we want to our questions. Why did you want to be a volunteer police? YS: According to the information, there was a publicity team in the volunteer police team. As I felt that I was able to exploit/showcase my talents, it became my ambition to join. There seemed to be a lot of team members younger than you. YS: Will not consider the age difference and look at everyone equally, thinking that the other party is my sunbae as well as my hyung. Will not have thoughts such as ‘the age is really small’ Baby face which makes people shocked. Please give some skincare tips to the other members of the police force who are training under the scorching sun. YS: I wouldn’t do any special skin management. I think that as long as you wash your face well, apply some moisturiser to prevent dryness, it is the best way skin management. Do you often keep in contact with the SS501 members. Did they come and visit you. A sentence which you want to tell the members. YS: We haven’t been able to contact each other ever since my enlistment…obviously they have not visited me…but they are queuing up to book an appointment to meet…^^ Hyun Joong ah~ Hyung Jun ah~Jung Min ah~ after finishing your activities handsomely, I also hope you will enlist handsomely! Must always be healthy~ Miss you guys!!!!!!!!!! 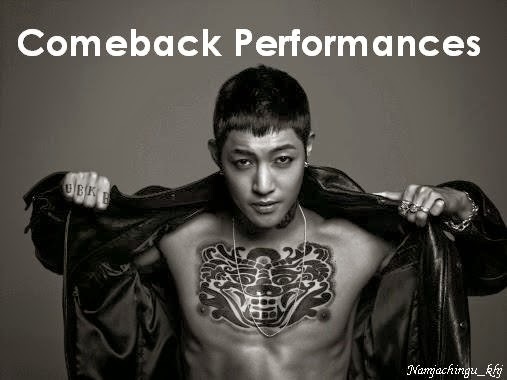 What are your thoughts after seeing Hyun Joong at the centre of the Hallyu Wave. YS: Having the most activities among the SS501 members… must be really tired.. (Caption: For this segment to be more interesting, was waiting for some sacrifice; ; Ah… Really a sincere and friendly person…heard such words before right) Very handsome when working hard. also working as an actor now… I also wish to collaborate with Hyun Joong in a good production after I finish my national duties. The difference between working as a group and as a solo artist. YS: The difference in income..^^ And also the feelings of loneliness when travelling to and fro alone? Other than these, there’s not much difference. Your image is a singer who plays soccer? YS: Wish to become a singer which can sing and dance just like now. Belong to the type that can capture the ladies hearts…your popularity amongst males pales in comparison…For someone in the police tactical unit who is able to accumulate male popularity, what is your personal charisma/ specialty? YS: Still a new recruit currently so I need to learn what the sunbaes are teaching. Hope I will be able to personally produce and act in a handsome programme. Putting aside the differences in ranks, say something honest to your team members as a hyung. There’s a lot of unanswered questions regarding army life. What are your thoughts towards these? YS:Truthfully, I am clueless when thinking about discharge from national services. Will not think about discharge but only think about what will happen tomorrow, this way it would seem to be less difficult. YS: There seems to be not much differences~ because everyone suffer and work hard…very realistic.. also, as a volunteer police, I feel very proud of myself! Will you recommend others to become a volunteer police? YS: Will recommend. There’s sufficient time for self improvement.. compared to others, this is closer to society…and can collect data/ information very quickly… would not be outdated even after discharge, so I recommend! What is your army discharge date?